A majority of his year sees him playing in NHL arenas, but when the season is over, a field of dreams awaits Radim Vrbata back in the Czech Republic. 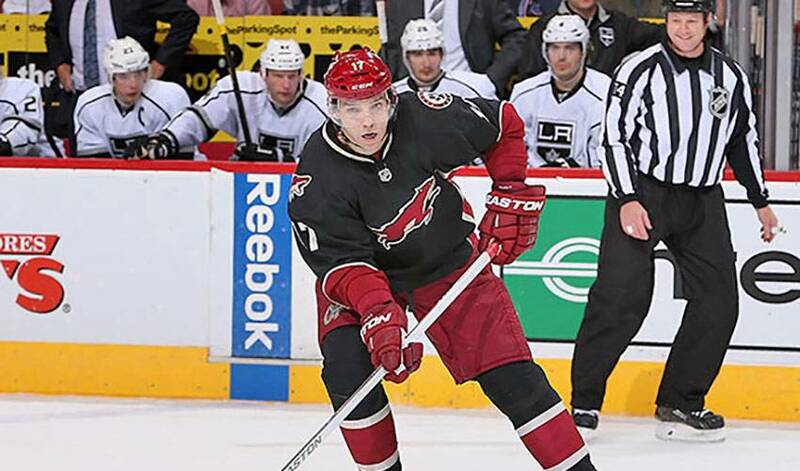 For nearly 750 NHL games, just over half of those coming with the Phoenix Coyotes, the 32-year-old Vrbata has felt right at home competing against the very best in the game. Prior to the 2013-14 season, before he was garnering first star honours (something the forward did in a recent 5-2 home win over Tampa Bay) or playing a prominent role in the Coyotes’ turnaround season, Vrbata could often be found enjoying the sporting life in his very own backyard. But it’s not all backhands, forehands and aces. While Vrbata appreciates the opportunity to spend time in his homeland, catching up with friends and family, it was somewhat bittersweet this off-season after the way the 2012-13 campaign ended. For his part, Vrbata didn’t let the frustrating campaign dampen his optimism for the upcoming year. At the quarter juncture in 2013-14, things have gone well for both the Coyotes and Vrbata. The Pacific Division club is one of four teams within two points of the Western Conference lead (three others are one point behind Chicago) and the right-winger has 17 points from 20 games played. If everything works out as planned, Vrbata won’t have to pack his bags for Mlada Boleslav at the end of this regular season. But when he does get back, maybe he’ll have a backyard tennis rematch against teammate and fellow countryman Martin Hanzal. “He was over two summers ago and we played,” said Vrbata. As for who came out on top, it’s best to read between the lines. Radim Vrbata hopes it’s a familiar theme throughout 2013-14. He won’t be going door-to-door himself looking for sweet and salty Halloween treats tonight, but veteran forward Radim Vrbata definitely knows which teammate he’d take along if he were to go out trick-or-treating. There have been plenty of changes over the course of a career that's on the cusp of 1,000 games. But one thing has remained a constant throughout it all for Arizona Coyotes forward Radim Vrbata: always have fun.